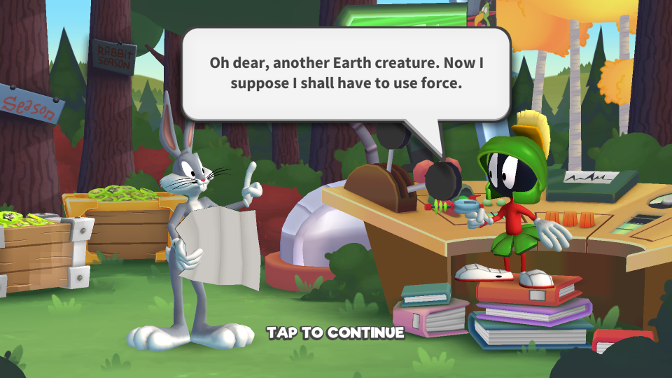 Bugs Bunny interrupts Marvin the Martian as he’s trying to blow up the Earth. 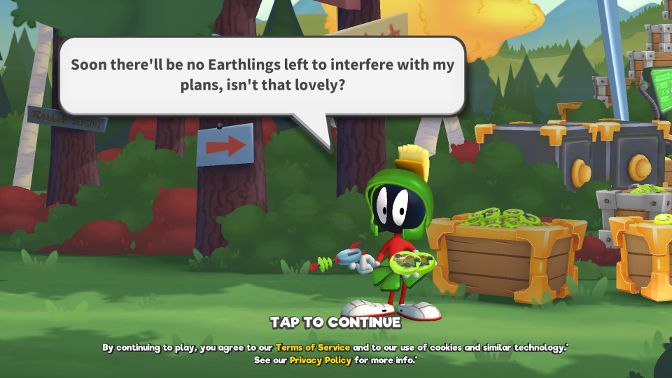 Bugs, being the charismatic weirdo that he is, decides the best thing to do is to battle Marvin, because honestly, we don’t want the world to go kaput. 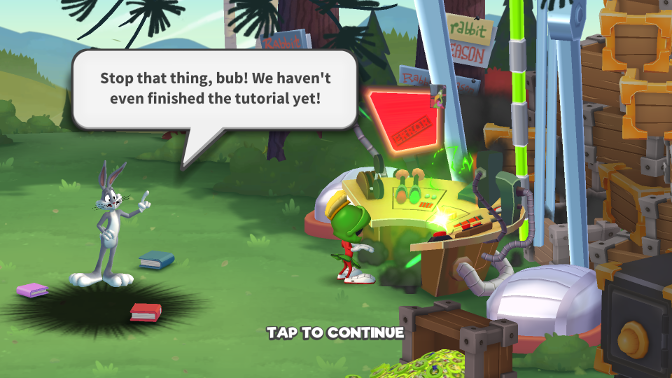 After beating Marvin, the little martian goes to turn off his machine, but only for it to be broken. 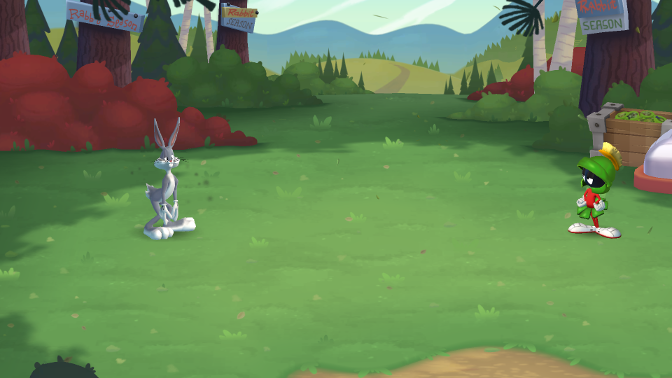 The two characters, a bit surprised by the results, then realise they have to work together in a strange turn of events, to go and rescue the other characters of Looney Tunes, rebuild their homes in the forest, the town and Hollywood – And restore harmony to the Earth. Okay, so first off, let me say that there is a lot to cover, but there isn’t a lot that’s groundbreaking or new. One thing I will say from the offset however, whilst the game isn’t perfect, it certainly is well polished with remarkably few problems (I’ve found none so far, so well done to the devs for such a polished title). I may make a few comparisons to Hyper Heroes, which features a similar style of character collection; although the actual battling mechanics are totally different. 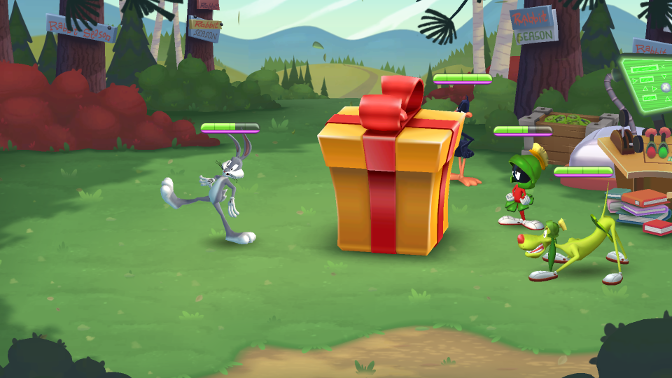 The game takes place around the concept of collecting Toons, all of whom are characters from Looney Tunes and skins thereof. 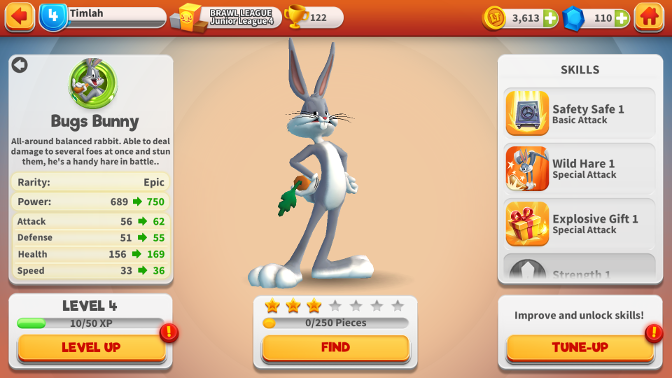 Toons are earned by way of Toon Pieces, which you earn in a variety of ways. 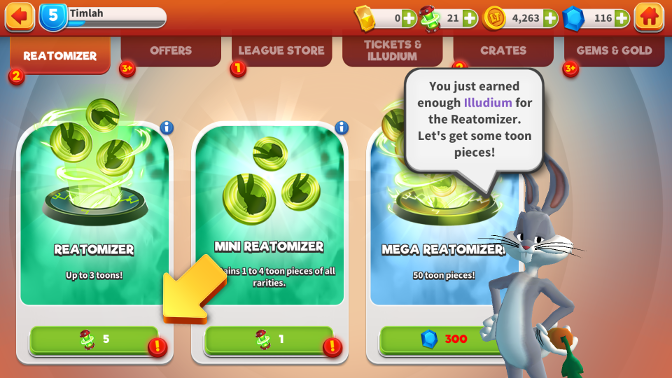 You can earn them through playing the campaign, opening chests, making your Toons do tasks or reusing the Reatomiser (which can get you between 1-2 Toons some pieces, which range between at least 1 to at most 6 pieces). 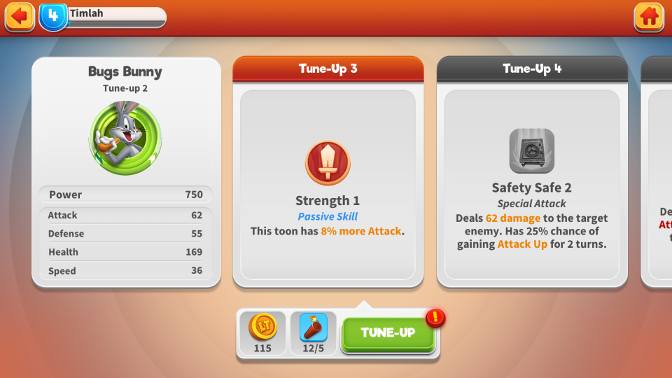 You can also use these pieces to level up the Toons, giving them an increase in their stats. 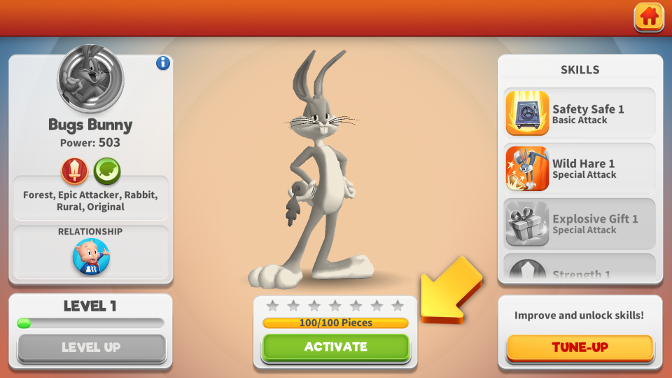 For instance, if you have a 1 star character, it takes 50 pieces to get them to 2 stars; then 100 to 3 stars and so on. 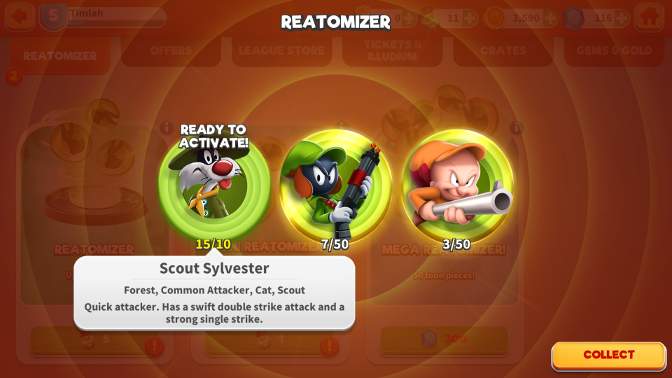 The Toons have three different types; attacker, defender and support. These different types represent different roles within the game. The attackers are, naturally, ones that do all of the biggest damage. The defenders taunt the enemies and typically have a higher health pool. The support have special skills to help the team, such as buffs and heals. 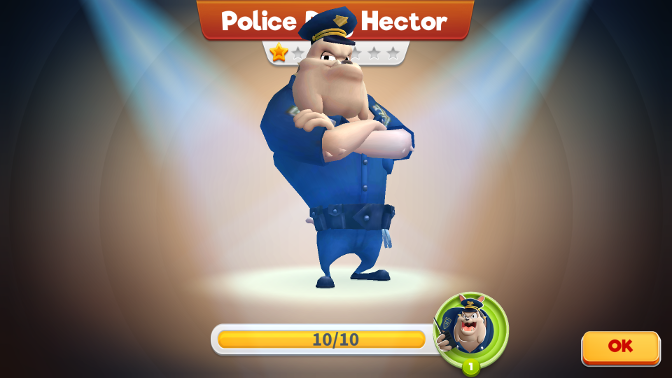 Couple this with the stats of the character – attack, defence, speed (for how quickly and frequently a Toon attacks) – and that’s how you determine the better Toons from the worse. 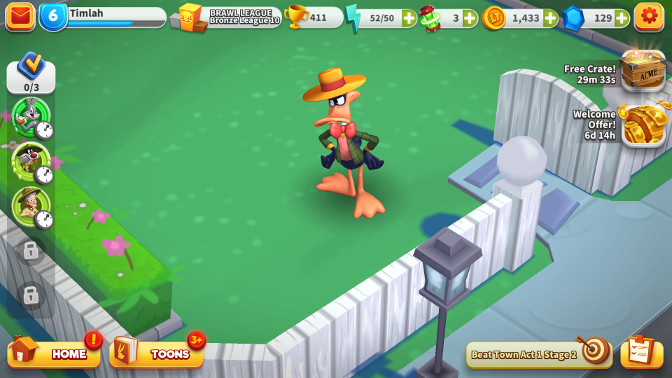 Furthermore, each Toon has up to three abilities (That I’ve seen so far), of which you unlock by way of “Tune-Ups”, which cost in-game money and in-game items. 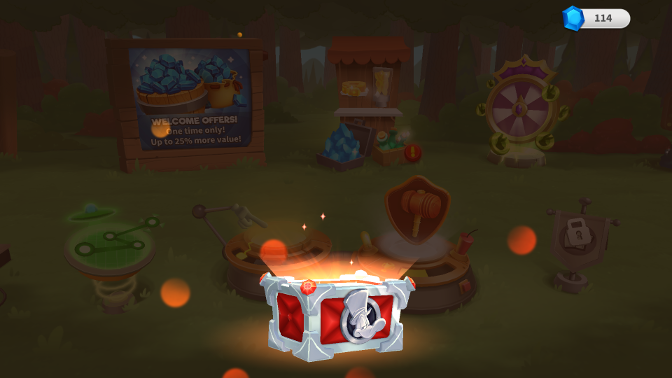 Speaking of money and items in-game, let’s quickly address the elephant in the room. This is, indeed, a freemium title. What that means is the game isn’t afraid to advertise to you that it wants you to pump money into it. As such, you’ll likely find that as time goes on and the game finds its feet, you’ll get more people putting money into the game, which means you’ll get pretty uneven experiences later down the line. 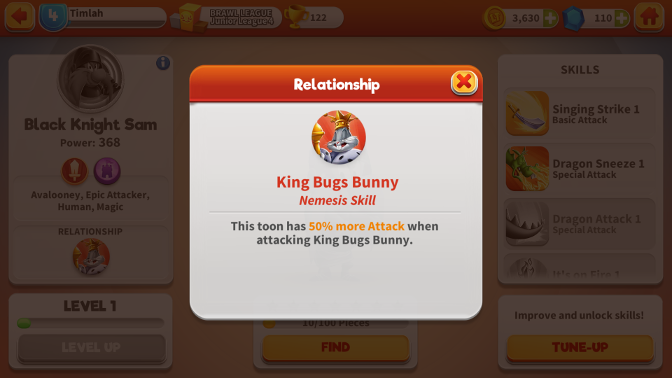 When it gets to the “end” of the game as it were, I will probably drop playing it, for this is the exact issue that made me stop with Hyper Heroes prior to this. If you’re okay with working for perhaps a fifth of the power of the paying players, then you’ll enjoy this, otherwise you’ll get frustrated at the power disparity. I am hoping to be proven wrong, however, so I’ll keep my eye out! The combat is simply turn-based. 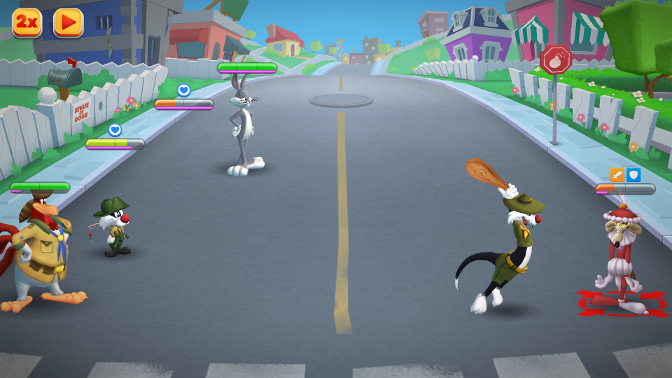 The fastest Toon goes first, who can select between 2-3 moves. 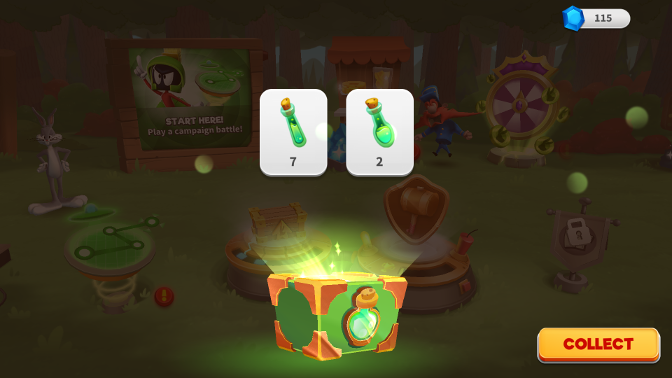 Then, it moves to the next fastest, until all Toons are depleted – and it goes back around again. All in all, this means that if you have a particularly fast Toon, it might be good for a quick buff, but not necessarily the strongest. Conversely, if you had a slower Toon, it might be better suited as a healer type. Nevertheless, the game will look at the stats of the characters, the strength of the moves (which are determined by the aforementioned Tune-Ups) and if the opponent is a Nemesis or if you have an Ally. This is an interesting system, which will deal more damage between characters, or gain increases, based on whether a character has some particular affinity towards them. I like this! 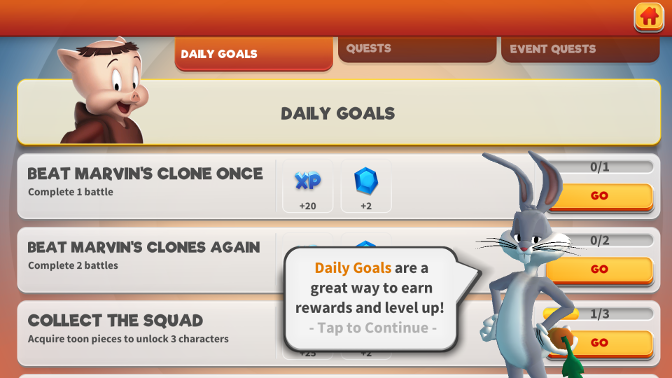 There’s a lot more I could talk about, such as building the different zones up, sending your Toons out to do tasks for rewards such as building materials and Toon pieces. Instead, I think if I had to put your mind at ease about anything, the adverts appear to be 100% optional at the moment. 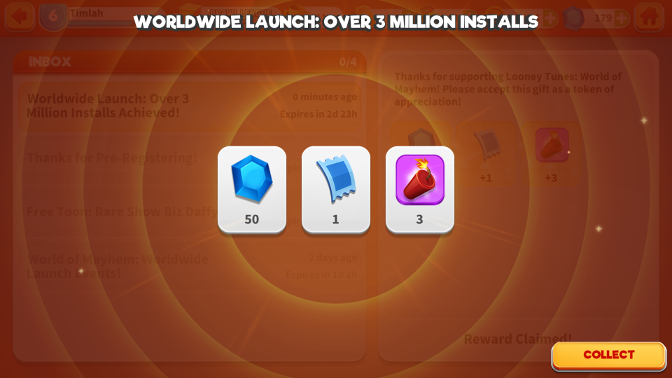 In other words, the game will not spam you with ads, but instead it takes the approach of “yeah sure, we have ads, so you can watch them in return for something.” It’s better than having to sit through 10 ads a minute then having to watch more ads to get more out of the game. Kudos to them for not going that ad heavy. If you’re not a fan of ads at all, you can completely avoid them, as of the time of writing. 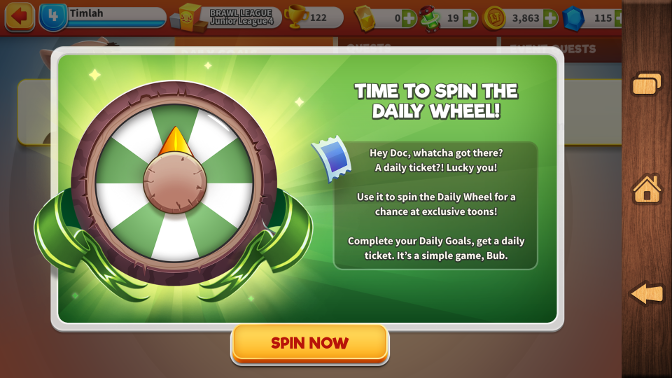 Big fan of this – and, whilst the game tries to incentivise you to pay, it doesn’t constantly force it down your throat. 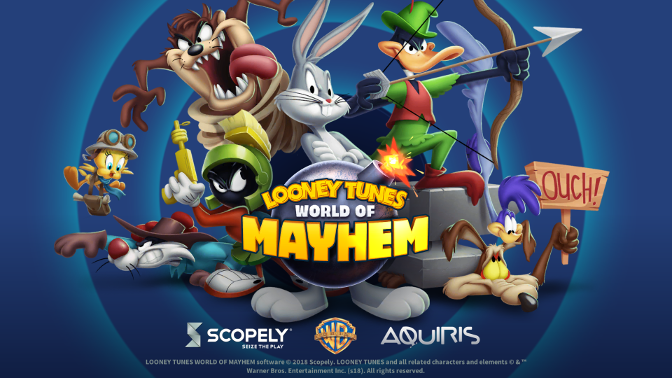 10/10 from me here – If you grew up watching Looney Tunes, then you’ll be greeted with a very familiar sound when you boot the game up. You hear the classic Looney Tunes introduction music, which I’ve put above for your ears pleasure. 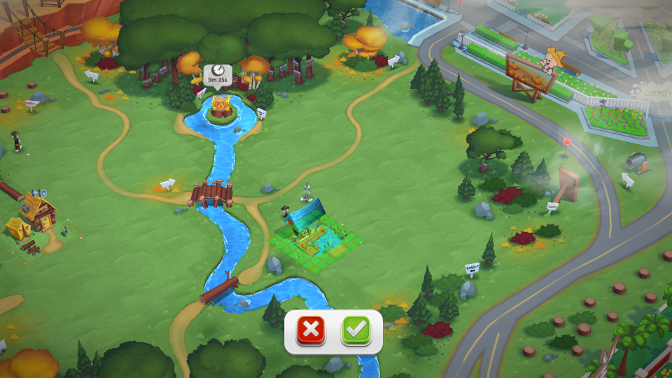 No, no, don’t thank me – Thank the developers for not missing the opportunity to feature this so predominantly. 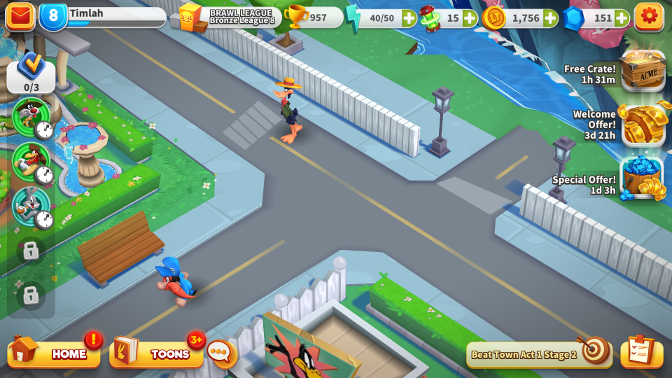 Other than the classic theme song then, there is a lot of good music in the game, which sounds like it comes straight out of a Looney Tunes cartoon. 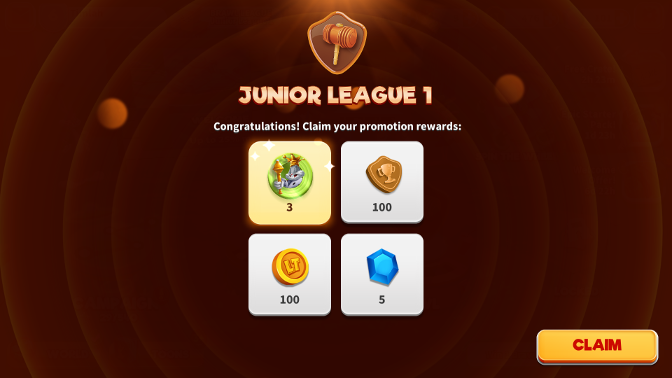 An added bonus! No it’s not a perfect game, but yes it is a lot of fun. 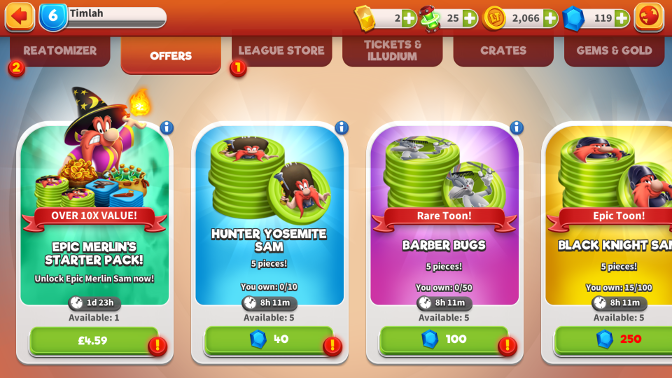 If you’ve ever played any of these sorts of games before, they’re usually great for hanging around until the end of the levelling process, but then watch as people who pour money into the game get rewarded heavier than those who want to try to play it freemium. 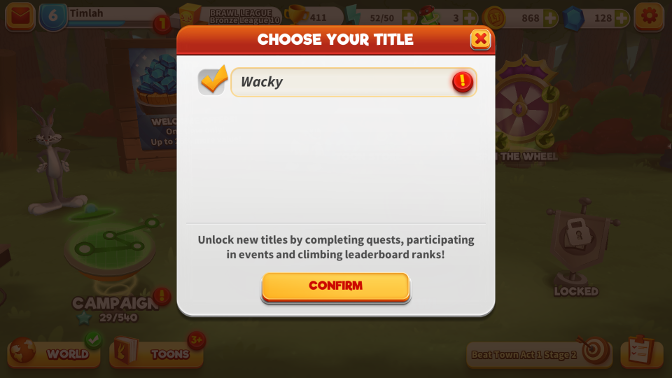 All in all, this isn’t a huge issue; they paid, they get the characters and the perks that are associated – But it’d be nice to have a game where you can genuinely keep up with those who keep splashing their cash… But then, where would be the incentive to pay? It’s a hard balance, but at the moment, because the game is so damn new, the scene is really small – and everyone is learning all the time. Join in now, before it gets too split; that’s my advice! One last thing, the community is currently thriving. If you’re a fan of games with Discord pages, then this is theirs – and they totally seem to understand their audience. Nice to see a developer want to see what players are saying. 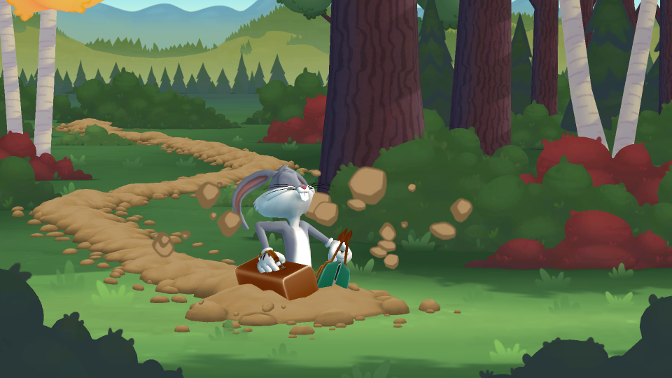 Are you a Looney Tunes fan? 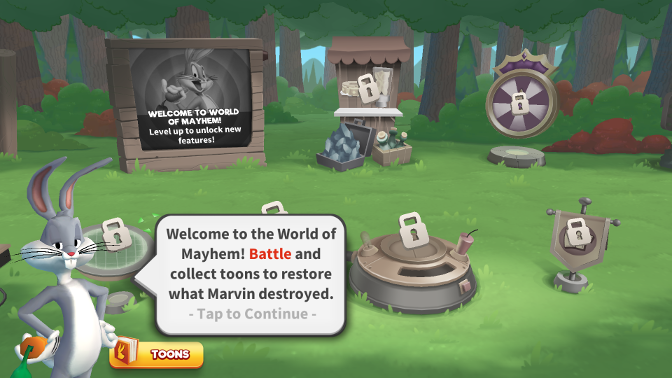 Have you tried World of Mayhem? 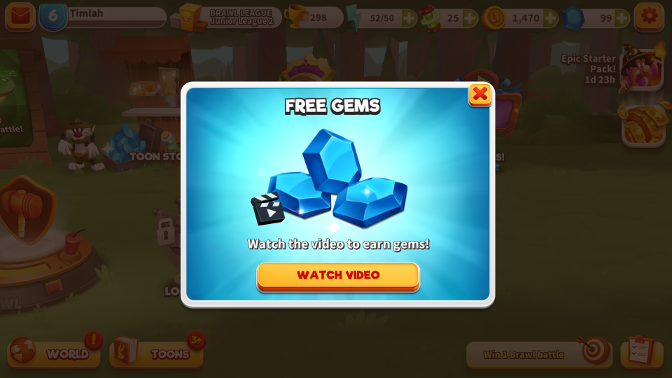 Is this the sort of mobile game that keeps you coming back for more? Share your thoughts in the comments below, or over on Facebook and Twitter. This entry was posted on December 21, 2018 by Timlah. 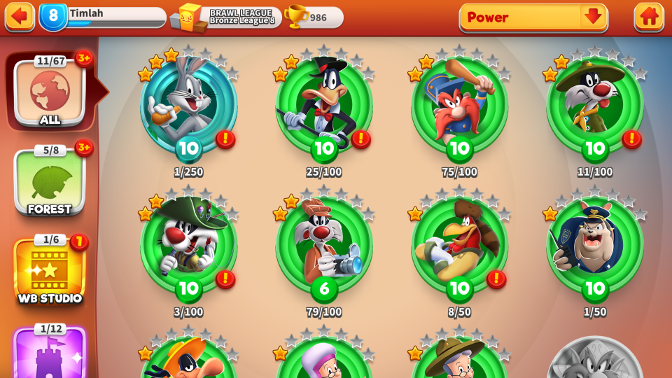 It was filed under Gaming posts, Reviews, Video Games and was tagged with android, Animation, Artwork, Audio, character collection game, full review, iOS, looney tunes, Review, RPG, smartphone game, Strategy, world of mayhem.